Another party while I’m out of town! 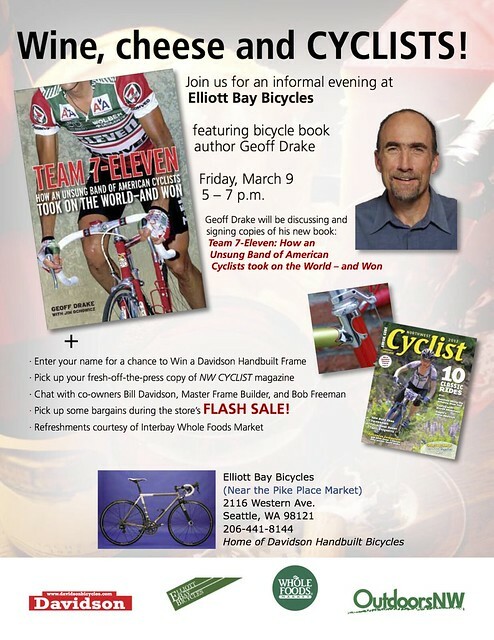 This time with author Geoff Drake and at Elliott Bay Bicycles. Geoff will have copies of his book about Team 7-Eleven with him and EBB is where the D-Plus was made and is being built up now. 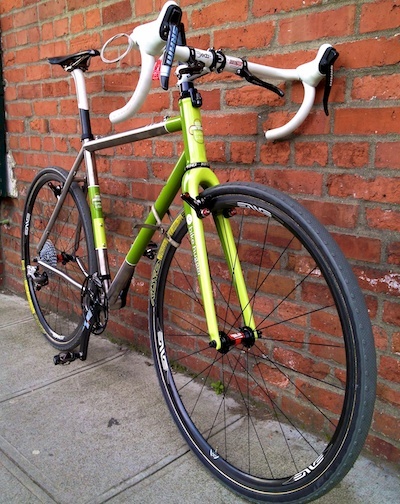 Besides the wine, cheese, and cyclist, you can win a Davidson frame like mine. Well, not exactly like mine!